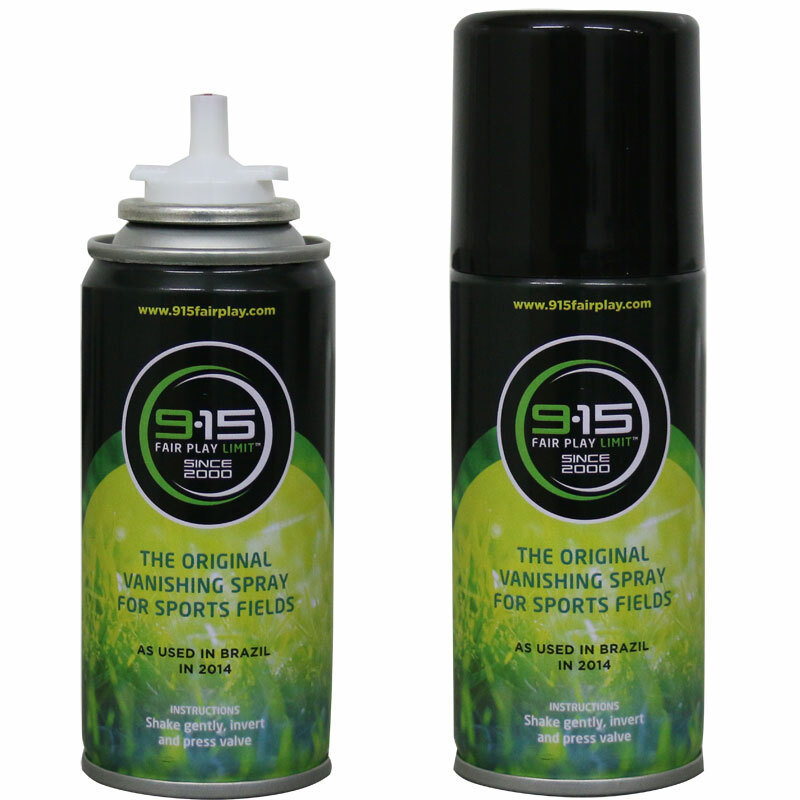 915 FairPlay ® Referee Vanishing Spray - the official vanishing spray that was used in the 2014 Football World Cup and many more competitions since. A foam substance that disappears after a minute after it is applied. It is used primarily by association football referees to indicate the minimum distance that members of the opposing team must remain from the ball during a free kick, as well as the spot from which the kick is taken. 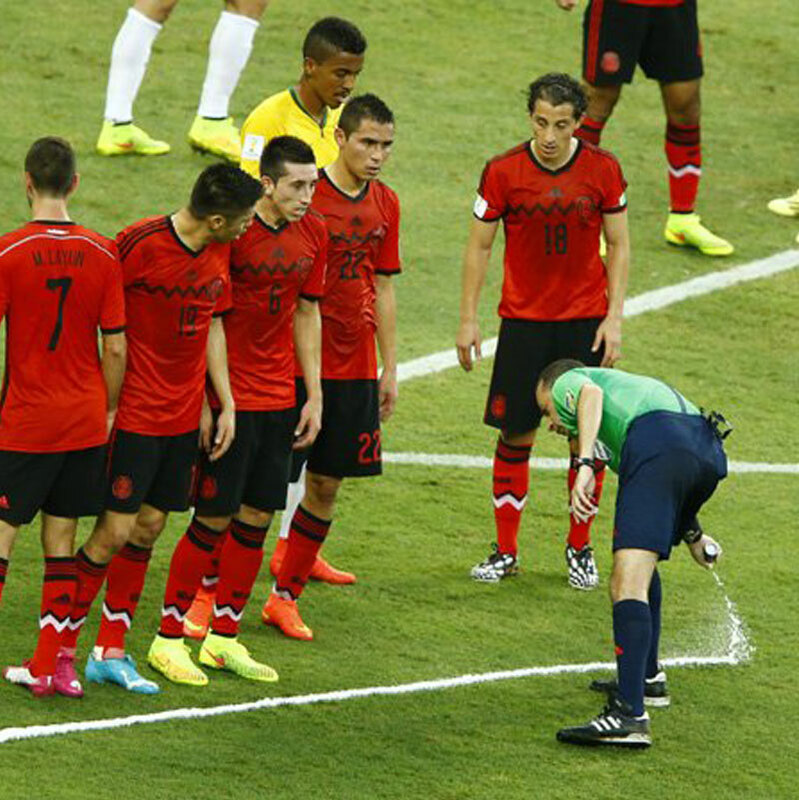 IFAB Approved - The use of vanishing spray, was approved by all International Football Association Board (IFAB) members during the Board's 126th meeting. The 915 Fair Play Limit is patented in over 80 countries. Spray holder to be ordered separately. Haven't had a chance to use yet but was concerned that when it arrived the packaging was a bit - the realised the great packing had been pressing on the top - releasing hopefully only some and not all of the contents into the bubble wrap - hard to see how much because of course it is VANISHING ... so rated as a five - cause it did what it said on the tin ! !